Woodlands Hospice invited families to a special celebration, honouring patients who have sadly lost their lives in the last 12 months. 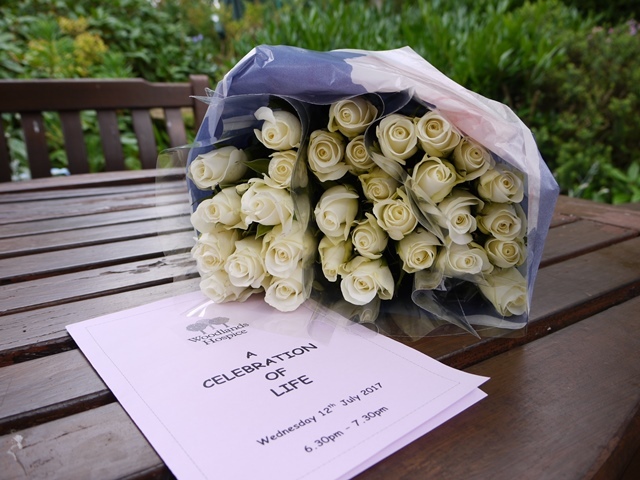 The service, which took place on Wednesday 12th July at the Hospice, was organised by the Well-being and Family Support Service Teams. For many families, it may have been the first time they returned to the Hospice since losing their loved one, which means it can be an emotional and poignant experience. The service was led by our Pastoral Support, Mark Pringle and incorporated emotional readings, thoughts and comments from our patients and staff, music and an act of remembrance. Many staff members and volunteers from all areas of the Hospice felt privileged to take part in the service and show their support to the families and to celebrate the lives of those they’ve lost. Dawn Porter, our Wellbeing and Support Centre Manager, commented on the importance of such celebrations for families coming to terms with the loss of a loved one. Families and friends attending the service were able to speak with the staff from our various support services throughout the evening and were reminded by all that our door is always open to them if they need us. We will be holding a second ceremony at the Hospice this week for families who have confirmed their attendance. If you are interested in finding out more about our Family Support Services, click here.